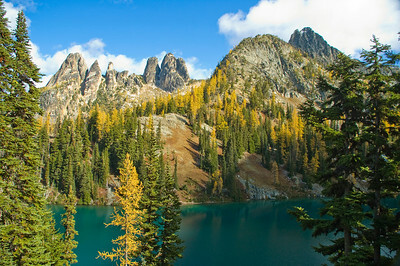 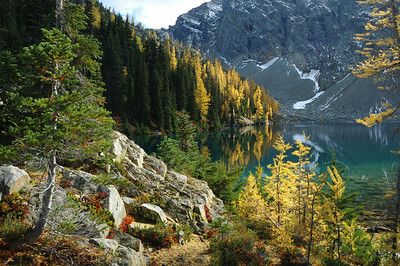 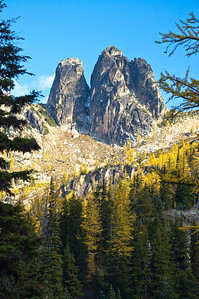 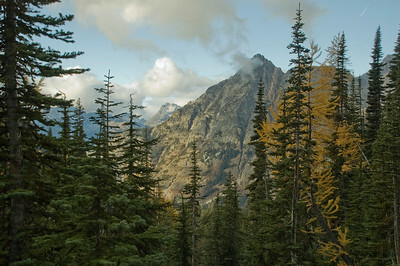 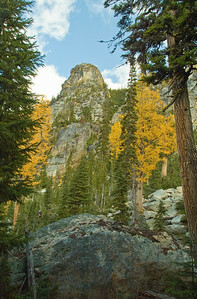 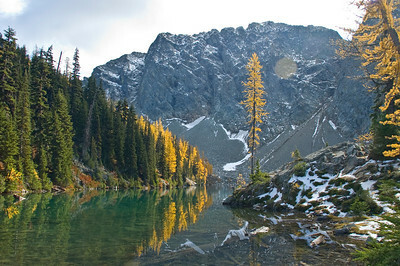 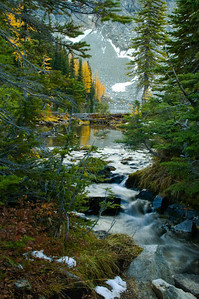 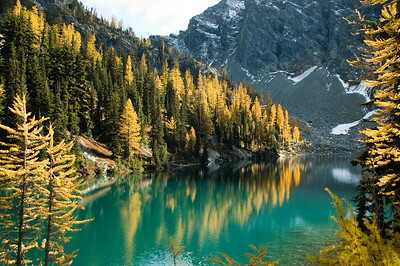 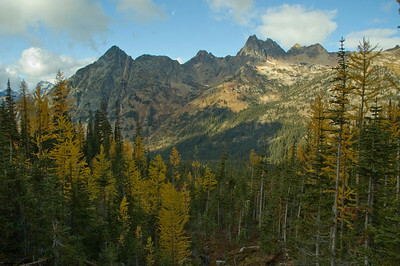 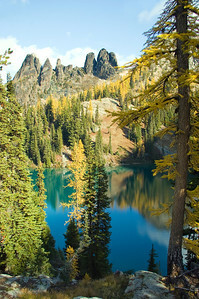 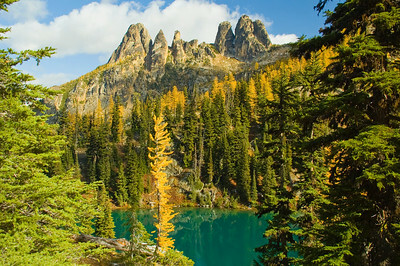 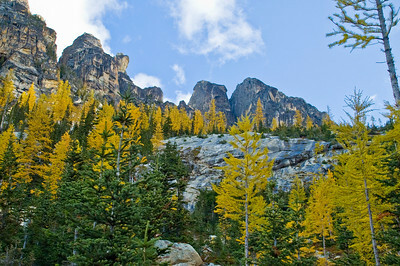 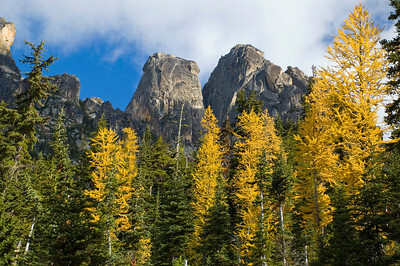 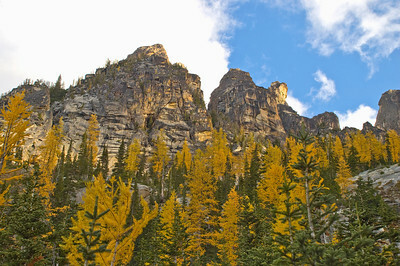 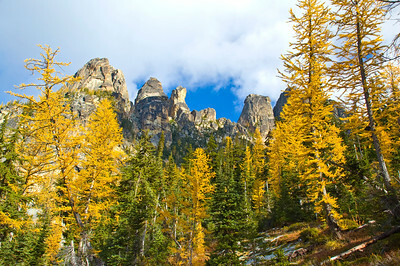 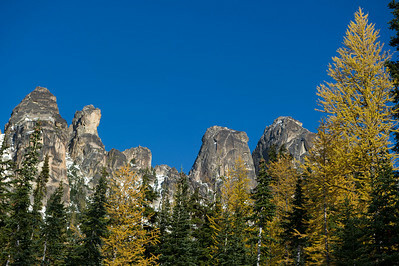 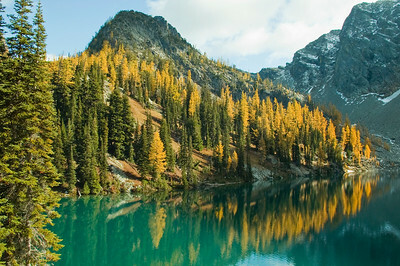 Larch trees are bright with fall color. 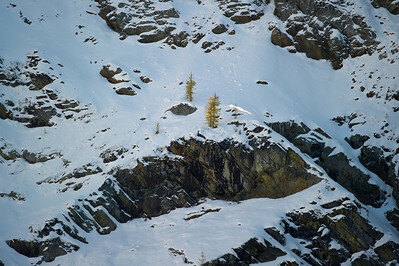 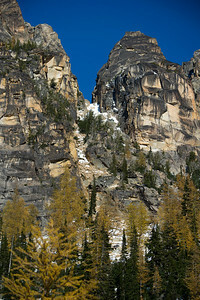 Two small larch trees surviving on a rocky outcrop. 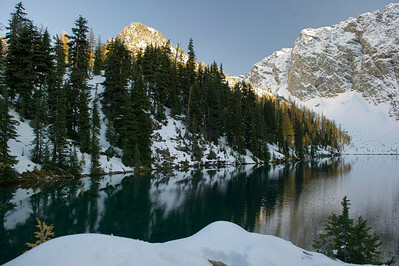 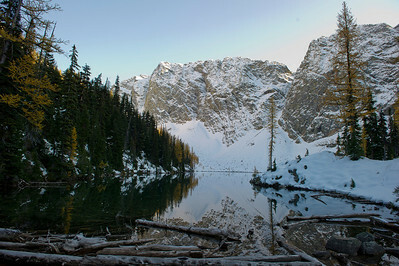 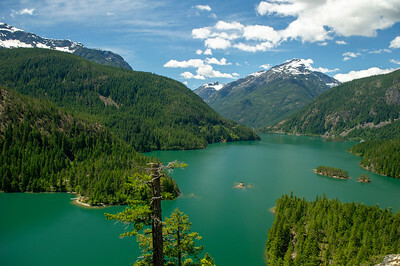 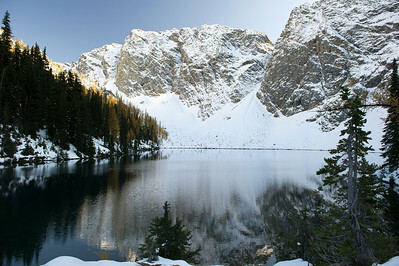 With a mirror surface, the low winter sun leaves Blue Lake in shadows. 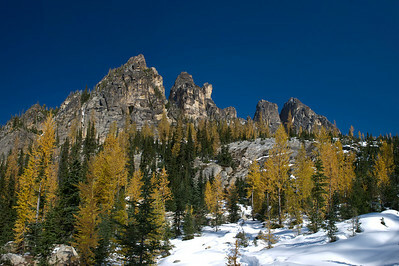 This was one of a few open trails and rarer open trailhead parking lot during the goverment shutdown. 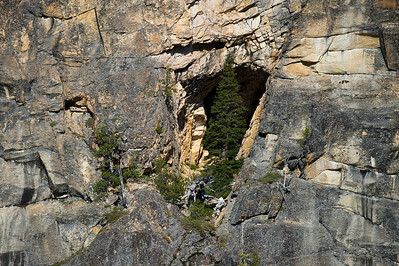 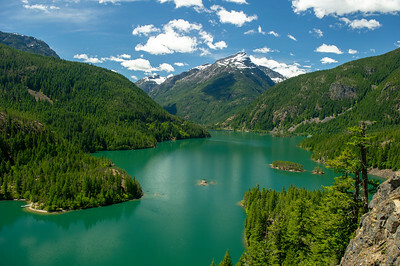 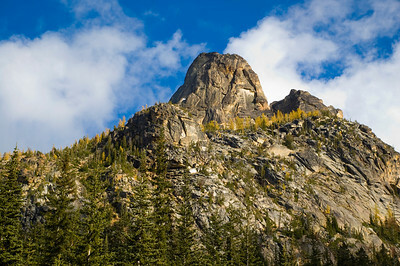 On the shear side of Liberty Bell Mountain, a telephoto lens shows a tree growing at the mouth of a cave. 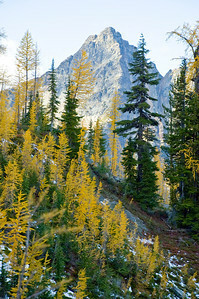 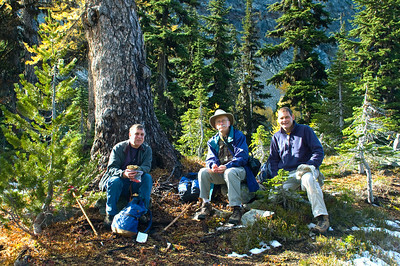 If you look closely at photo 7884-89_Pano (next photo) you can spot this area. 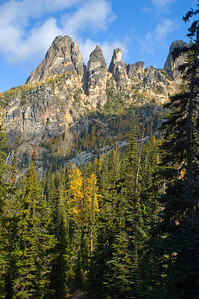 Unknown if it is named.